Happy new year everyone from Verbier! It is no secret that newlyweds Priyanka Chopra and Nick Jonas are irresistibly and irrevocably in love yet when the Hollywood pop star admits blushing while talking about Bollywood actress-wife, that’s some news. Not to mention super cute! 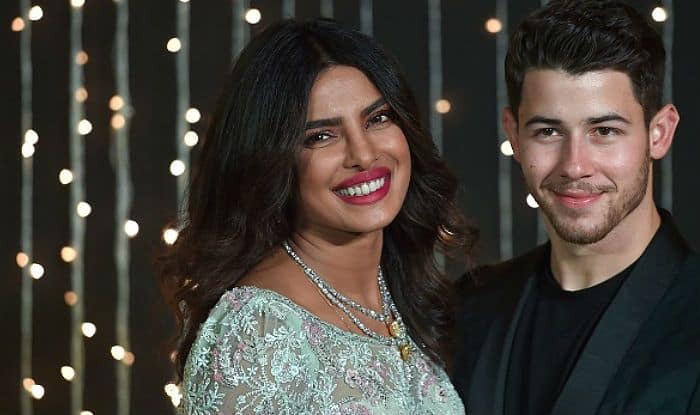 In a recent interview, Nick was asked about when he realized that PeeCee was his ‘partner for life’ and the question got him all gushing about his new wife and the future with her. “It was kind of an instant thing,” Nick told Entertainment Tonight, talking of his relationship with Priyanka. “I knew once we locked in together that I had a partner for life and a teammate, someone I could walk through the good times and the bad times with, and that was the key,” added the singer. After gushing about his wife and sharing kind words about her, Nick said, “I’m blushing now!” This caught us off-guard given that the couple hasn’t been shy about packing on the PDA and explaining what they admire about each other, not just in varied interviews but also on their respective social media accounts.